The intermittent showers in the city since early this week, brought on by low pressure over the Bay of Bengal, came as relief for the water-starved city, but wasn’t enough to tide over the situation. The overnight rains around the city reservoirs brought only minimal water flow into the reservoirs, which will meet only four days of supply to the city. Officials of the Water Resources Department said the combined storage of the reservoirs stood at 1,697 million cubic feet (mcft) against the capacity of 11,257 mcft on Thursday (November 22nd) evening. The overnight spell reduced the rainfall deficit from 60% to 45% in the city. Meanwhile the corporation helpline 1913 had received water logging complaints from 87 locations following the showers. 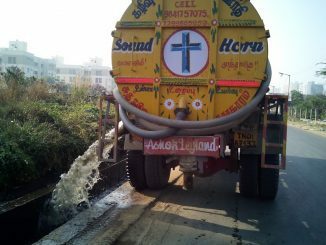 The water crisis in the city has led to search for various alternative avenues of supply. The fast drying lakes at Chembarakkam and Cholavaram are a cause of worry and Metro water is gearing up to tap new sources of water. 12 abandoned quarries in Erumaiyur near Thirumudivakkam, apart from the existing ones in Sikkarayapuram near Mangadu, have been identified and are expected to supply about 40 million litres of water daily. The agency is also looking at renting wells in areas such as Siruvanur, Movur, Melanur, Ramarajan Kandigai and Magaral near Metrowater-owned fields. The total storage in the four lakes that currently supply water to the city, stood at 1,641 million cubic feet (mcft) against its total capacity of 11,257 mcft. If the city fails to receive adequate rains in the coming days, there is sure trouble for the residents. The Greater Chennai Corporation and city police have started streamlining shops at Marina and soon the beach will have a no-litter zone created. The vendors of the 2000 odd shops at Marina have agreed to the move and will be placed in two parallel rows. The 2.8 km vending zone will be between Labour statue and Light house. Registered vendors will get ID cards and shop numbers. The move is aimed to not only regulate vendors, but also ensure cleanliness, improve the aesthetic look and reduce crime incidents. After the resettlement is completed, a no litter zone will be created and fine will be levied on people who litter. Meanwhile, the High Court while granting permission for construction of the MGR centenary arch has restrained the Government from unveiling it till a public interest litigation on the matter is disposed. The arch will come up on Kamaraj Salai, just off the Marina beach, to commemorate the birth centenary of the late chief minister. Visitors to the shores along Marina on Thursday afternoon were in for a surprise as the beach water was frothy with white foam. Experts say the foam could be due to the agitation of sea water due to high winds and high concentration of microbes from the sewage that are contaminating the water. The heavy rains since Tuesday night and rough sea conditions had caused a sudden influx of highly-polluted water from the Adyar estuary into the sea. Although only a short-lived phenomenon, the high alkaline water could pose a threat to the surface organisms. 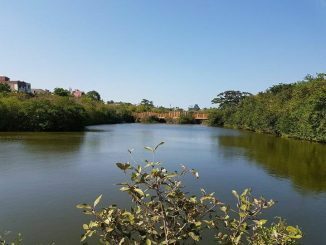 Environmentalists say this is similar to the case of Bellandur lake in Bengaluru. Chennai corporation conservancy workers staged a protest against privatisation and demanded fixed wages as per the ‘minimum wages act’. Nearly 500 corporation workers participated in the protest. The workers affiliated to CITU and few other trade unions threatened to go on indefinite strike. The civic body had already initiated privatisation of conservancy work in the city in several zones such as Adyar, Teynampet and Kodambakkam and are looking at extending it to eight more zones. The unions demanded cancellation of tenders floated to outsource conservancy operations. The civic body has over 7700 permanent and 4100 contract workers. 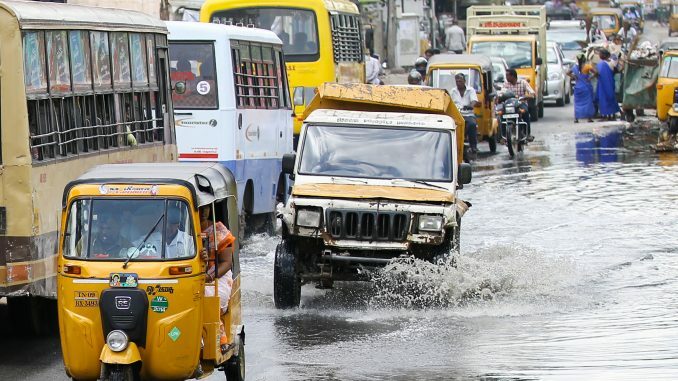 The Chennai Corporation continued to dig roads even during rains in several locations of the city. Ironically, this work is meant to ensure that rain water did not stagnate, but the recent rains left many areas in the city water logged. The scheduled completion of storm water drain projects was slated for November, yet only 25% of the work has been completed. The Greater Chennai Corporation has allocated a budget of nearly Rs 200 crore to repair and build missing links between existing storm water drains and also to build new ones. According to a disaster management website, riskmap.in, that collects crowd-sourced information about flooding in the city, 37 places were inundated.On the other hand, storm water and cut and cover drains that were being constructed, were also filled with water. 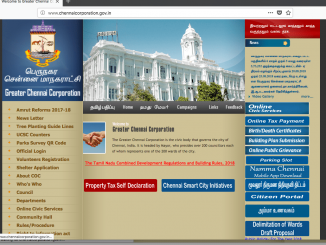 The Hindu Religious and Charitable Endowments (HR&CE) Department has gone digital, bringing 20,000 temples online in the first phase in the GPS portal. This has been completed for all Chennai temples and will be gradually extended to other districts. Ancient temples with a rich history can now be easily located and details of their properties can be accessed. All the 44,000 temples under the control of the department will soon be covered by the portal. Information on the statues, the land with survey nos etc. will be available for every temple on the portal soon. First the corporation workers do a terrible job of doing whatever the hell they do, and because of them citizens of this state want to privatize the conservancy works indirectly affecting the contract workers. PWD is nothing but Poor Works Department.